We offer our clients proven, best practice tools in an easy to implement sales methodology, with industry leading reinforcement and accountability systems, as-well-as sales management training for performance coaching … all geared toward producing long-term, sustainable results. How would it impact your sales results if you could move your C players to B players; move your B players to A players; and better support and A player team? Wish your salespeople could perform better? Stop wishing and start training! Call us now toll free at (888) 814-0808 for a free quote today! What You Can Expect: Our Sales training programs play out much like an athletic team practice session, where players and coaches work together to learn, practice, and master the effective best practices of your company’s top performers. Playbook: We develop a customized curriculum for every training, and a guide that includes your company specific best practices and useful sales tools. The guide serves as the sales team member’s official playbook that can be referred back to often for reinforcement after the sales training course is completed. Fundamentals and Best Practices: Training program participants practice various client-specific scenarios and practice real-life situations to improve sales skills such as building rapport, setting a sales meeting agenda, asking questions, overcoming objections and closing sales. Top Down Commitment: As part of the sales training program, sales managers learn how to reinforce the best practices to ensure lasting execution. Scoreboard: After training is complete, we can help you measure your results, stay the course, and keep your sales force on track. GPS has been building dedicated sales teams for large and small clients across the US since 1997. Our commitment to every client is to Generate Immediate Revenue, Protect Your Brand, and Provide Sales Intelligence so you can make executive decisions. We have comprehensive sales training programs that are focused on increasing our clients revenue and reducing their cost of sales. We build dedicated Business-to-Business, Door-to-Door, Feet on the Street and Inside Sales Teams that exceed our clients goals. Eliminate tools costs: phones, CRM, laptops, ect. A Return On Investment of 5-8x, minimum! Get the most out of our sales teams. Many companies realize the team has the potential to sell more, but every company has their own path to achieve results. We can help you find yours. Identify the sales potential of individuals. Not all people have the same potential or need to improve in the same areas. 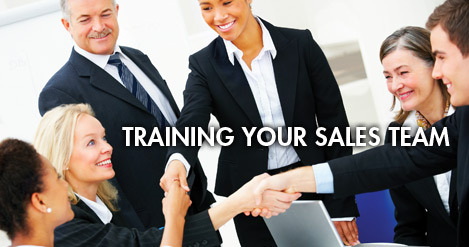 Sales assessments are critical for hiring and training the best sales teams. Grow existing accounts. There’s a huge untapped opportunity to cross-sell, up-sell, and grow existing accounts. We’ll help you grow your revenue with accounts by maximizing the value you bring to them across all of your products, services, and capabilities. Develop professionals into rainmakers. We will help you implement a culture of business development success across your entire firm, and create a team of top-performing closers.